21st March is International Day Against Racism, a day when the people across the globe show their opposition to racism. 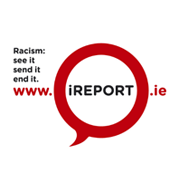 European Week Against Racism centres on International Day Against Racism and is co-ordinated in Ireland by ENAR Ireland. European Week Against Racism centres on International Day Against Racism and is co-ordinated in Ireland by ENAR Ireland. We are celebrating European Week from 21-27 March 2011. The European Week Against Racism is a series of events, run by people and organisations actively opposed to racism in Irish society. It’s co-ordinated by ENAR Ireland. During the Week thousands of people, not just in Ireland but all across the EU will come together to promote and celebrate equal rights and diversity in Europe. Check out our calendar– and take part in a range of exciting and inspiring activities we’re helping to co-ordinate in Ireland. This Year, our focus is on 21st March, and celebrating the European Week from 21-27 March. Recognising that in some countries not all events be held during one week, some countries shall celebrate events over two weeks this year from 14-27 March 2011. Our Calendar of Events can also feature events during these weeks. Take the lead from other organisations and contact your local authority or area based Partnership – see how they can support you.